In Lambeth, South London there’s a building known to British band Palma Violets, simply as Studio 180. At that location the quartet fostered a musical camaraderie, and held the first Palma Violets show. The group’s debut album, also called 180, features a photo of the group outside Studio 180, whose motto is In Times of Turmoil Find a Home to Attack From. This ethos would seem to describe the band’s approach. While many would see home as a place of shelter, Palma Violets see it as a base of operations. Even though the group does not live there any longer, the outlook remains. This band is a weapon, on the offensive. After 180’s release, the group won a couple key NME Awards (Best New Band, 50 Best Tracks of 2012), then they went farther outside Europe – they came to America. I finally got to see the band play a spine-tingling set in Seattle last April, a show that set off some serious moshing and strong wills in the audience. I watched every single moment of this show because Palma Violets’ music is gripping. I asked Fry if that show was especially rowdy? “We loved Seattle. That was actually one of our tame shows. We were told before that Seattle could be a bit standoffish. I think we got people going,” Fry remembered. 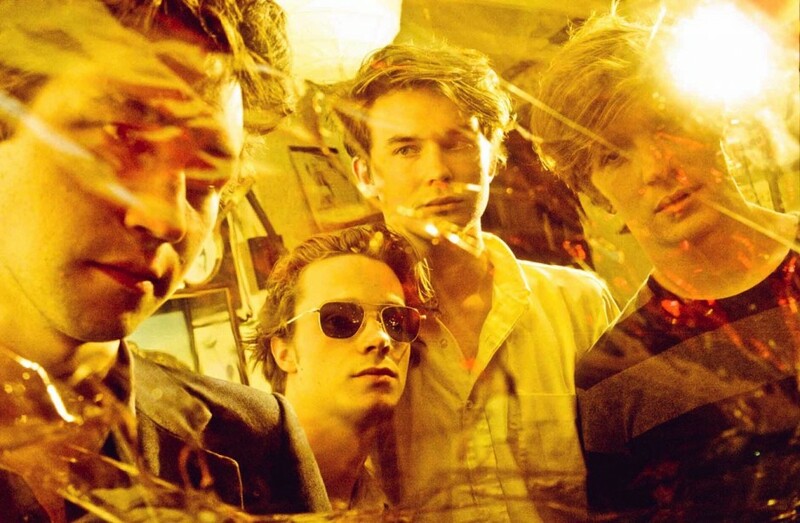 Palma Violets Play Barboza @ 8:00 PM, Monday October 14th. Written by: Dagmar on 10/14/2013. This entry was tagged palma violets, posted by dagmar. Bookmark the permalink.